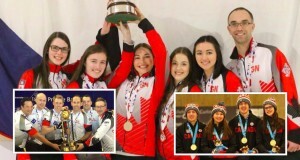 World and Canadian champions, along with Olympic gold-medallists, will be heading to Brandon, Man., next December for the 2016 Home Hardware Canada Cup, it was announced today by Curling Canada. 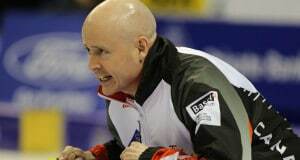 OTTAWA – The World Curling Federation (WCF) and the National Research Council (NRC), Canada’s “go-to” research and technology organization, are investigating the effects of curling brush head technology on ice surfaces and their potential effects on where stones come to rest. 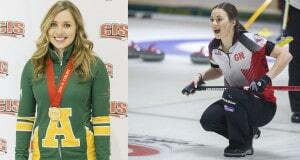 Canadian teams at all levels once again were world-beaters during the 2015-16 curling season, which officially wrapped up this past weekend. 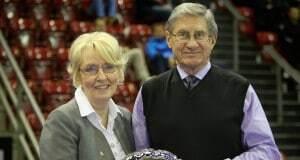 Team Canada — both of them — continues to have an unblemished record at the 2016 World Senior Men’s and Women’s Curling Championships in Karlstad, Sweden. 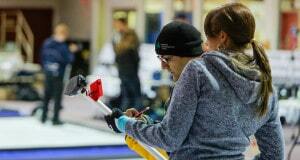 After being idle on the opening day of the 2016 World Mixed Doubles Curling Championship in Karlstad, Sweden, Team Canada made up for lost time early Sunday morning. 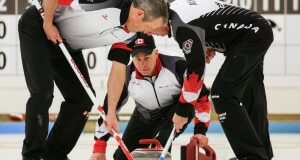 It was an ideal start for the Randy Neufeld’s Canadian men’s team at the 2016 World Senior Curling Championships, which kicked off on Friday at the Karlstad Curling Arena. BASEL, Switzerland — It was worth the wait. 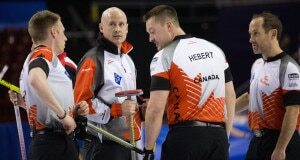 It had been four years since a Canadian team stood atop the medal podium at the world men’s curling championship, but that dry-spell came to a thrilling conclusion on Sunday at St. Jakobshalle. 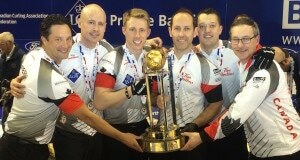 BASEL, Switzerland — On the fourth anniversary of Canada’s last world men’s curling title, the 2016 edition of Team Canada took a significant step toward putting an end to that dry-spell. BASEL, Switzerland — A man who whose contributions to the sport of curling, on and off the ice, are recognized around the world was acknowledged on the world stage today. 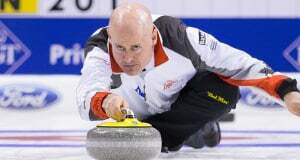 BASEL, Switzerland — Kevin Koe and Team Canada are in familiar territory at the 2016 World Men’s Curling Championship, presented by Ford of Canada. BASEL, Switzerland — Team Canada is two victories away from a coveted gold medal at the 2016 World Men’s Curling Championship presented by Ford of Canada. BASEL, Switzerland — It was a mildly frustrated Team Canada foursome that exited the ice surface late Wednesday afternoon at St. Jakobshalle. BASEL, Switzerland — Scott Pfeifer has been around some awfully good curling teams, it goes without saying. 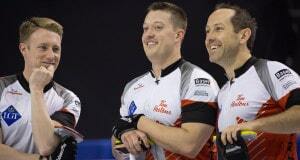 BASEL, Switzerland — At 7-0 and sailing along atop the standings at the 2016 World Men’s Curling Championship, it might be easy for Team Canada to start looking ahead to the playoffs at St. Jakobshalle.